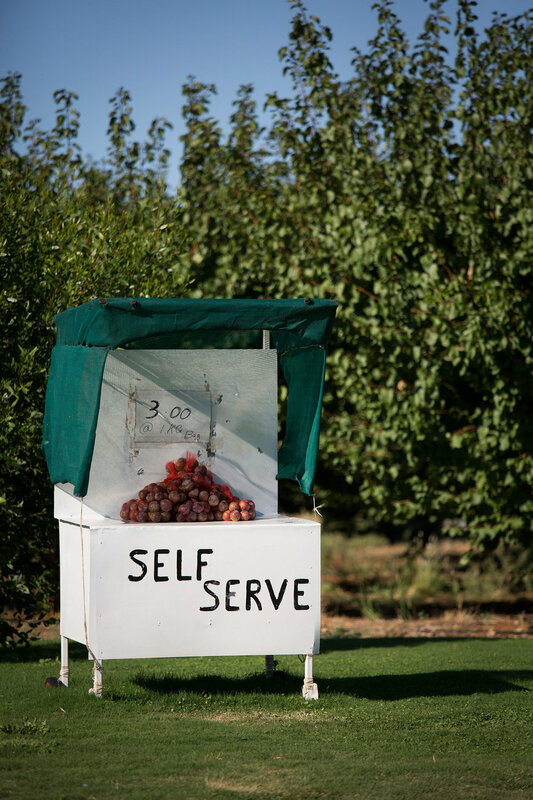 Self Serve is a series of documentary photographs of roadside stalls and signage, taken in Mildura, Victoria and the surrounding tri-state area. A prolific food bowl irrigated by the Murray River, the region supplies much of Australia’s dried fruit, table grapes and citrus. 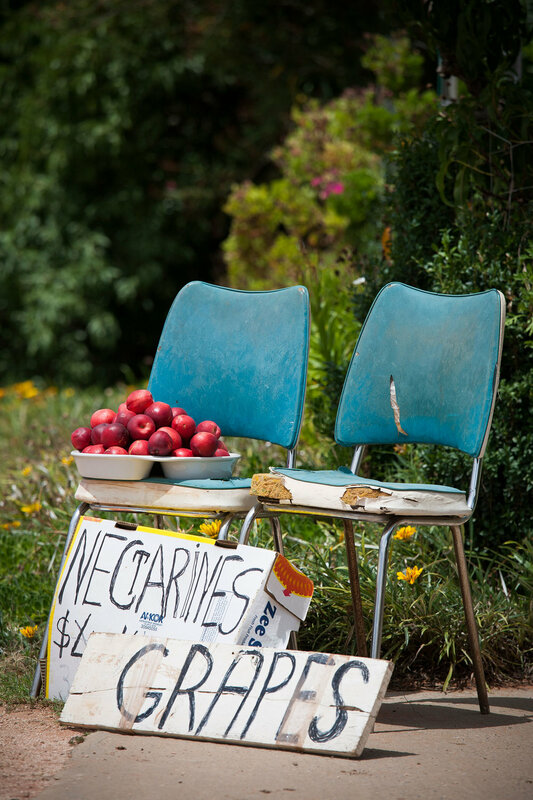 Roadside stalls are a ubiquitous sight, selling everything from bags of juicy mandarins to plump avocados through honesty boxes. Often operated by “blockies-” farmers of fruit and vegetable blocks - these stalls can provide an important supplement to incomes that can fluctuate wildly due to factors such as drought, varying water allocations and shifting consumer tastes. 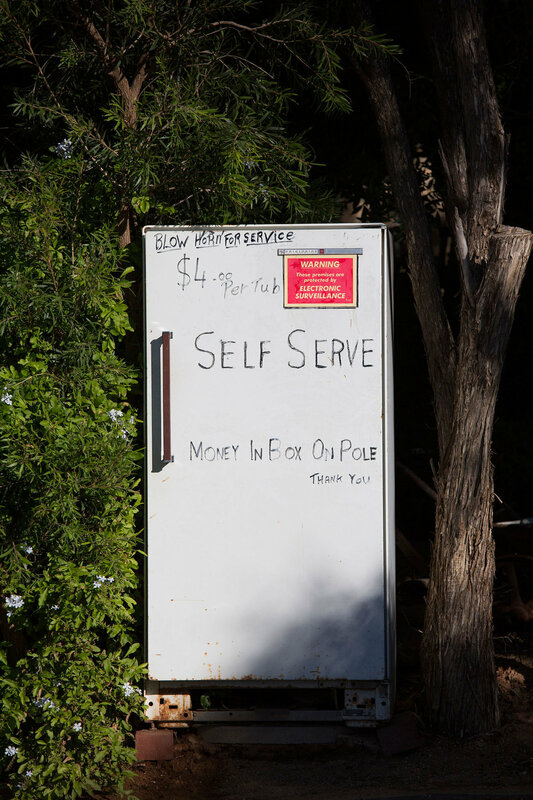 Recently, local council regulations have led to a decrease in roadside stalls. However, growing awareness of issues such as food miles and consuming in a more sustainable, seasonal way highlight the significance of these unassuming, handmade structures. Sometimes the minor choices we make to encourage the self-sufficiency of our communities can have major impacts.